Making green improvements to your office design has a beneficial impact not only on your energy costs, but on employee wellness and productivity as well. 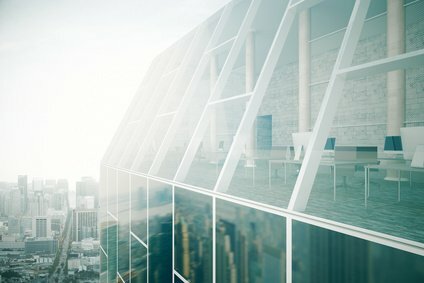 Energy efficient commercial buildings are more comfortable to work in, have better air quality, and use less energy compared to offices that have not made green improvements. There are many ways that you can upgrade your office or office building to help make it more sustainable. These five green office improvements will help you optimize your office for success. Studies carried out by Harvard University found that workers in a green office were more than twice as productive as those in conventional offices. In part, this was due to an increase in natural lighting within the office building. Natural light has a positive effect on people and their health, and it can have a positive impact on your energy usage, as it allows you to reduce the wattage needed from artificial lighting throughout the building. When considering the office interior design, put some thought into ways that you can increase natural light flow through in the space. This includes not only introducing more windows or skylights into the design, but also open office floor plans that can keep areas from being shut off from natural light sources. Glass walls or a lack of partitions can both help to maximize what natural light there is within the office interiors. Changing the layout of working areas to position them closer to natural light sources can also help. 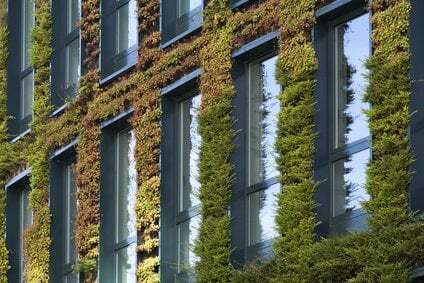 Material efficiency is crucial to any green building, including green offices. This means selecting materials for both exterior and interior use that are sustainable, have lower levels of VOCs, or that are made from a high percentage of recycled content. This can be as simple as selecting efficient materials whenever it’s time to replace current ones. For example, when the exterior finishing begins to show signs of wear, switch to a greener material like wood siding, and include other upgrades at the same time, such as insulating beneath the cladding to improve the building’s energy efficiency at the same time. For your office interior design, include furnishings and building materials that have zero to low emissions to help improve the air quality of the office interiors and make the office healthier for employees. Your office workers can be going through a lot of water on a daily basis if you haven’t made changes to your water efficiency within the building. Truly energy efficient office buildings not only maximize electricity usage, but water usage as well. Consider a dual plumbing system that will allow you to recycle greywater for toilet use. At the same time, investing in low-water use toilets and faucets can save thousands of gallons of water over the course of a year – more for larger companies with multiple employees. ● Reconfigure the office layout to make better use of every inch of space. This has an added benefit of increasing flow through, ventilation, and light at the same time. ● Shut off unused spaces by closing vents and disconnecting power sources so the unused areas are not a drain on resources. Lack of insulation is often cited as the number one reason why a building performs badly on energy scores. Air gap or a penetrable building envelope follows closely behind. By increasing insulation throughout both the interior and exterior of the building and sealing up any air gap in the envelope, you can make an office environment that’s much more comfortable to work in, with fewer drafts and cold spots. You can also lower energy costs, as less of the energy you use to heat and cool the building is immediately flowing right out the door. 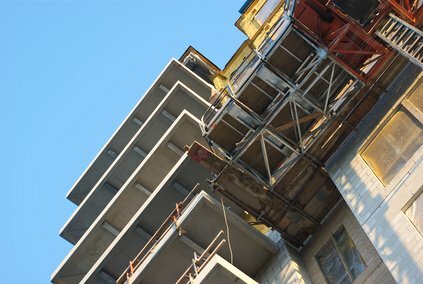 Begin with insulating below the exterior cladding, or look into materials that include insulation such as insulated concrete blocks. Add interior insulation inside walls and beneath the roof deck, and seal up any gaps surrounding windows and doors. Doing so can increase the energy efficiency of the building by as much as 40%. Greener office buildings are not only more cost effective to run, they have long reaching employee benefits as well. From higher productivity levels to fewer sick days, employees working in green buildings are much more efficient as well, allowing for green improvements to pay for themselves over time. Go green in your office building to help reap these benefits for yourself. 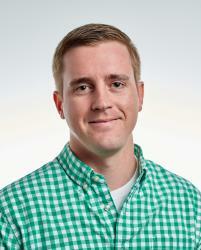 About the author: Matt Lee is the Co-Founder of Lead Generation Experts. Founded in 2012, Lead Generation Experts helps different businesses improve their digital marketing strategy.